« Nobody Here But Us Chickens! I love Stan, our rooster. People are always trying to get rid of roosters. 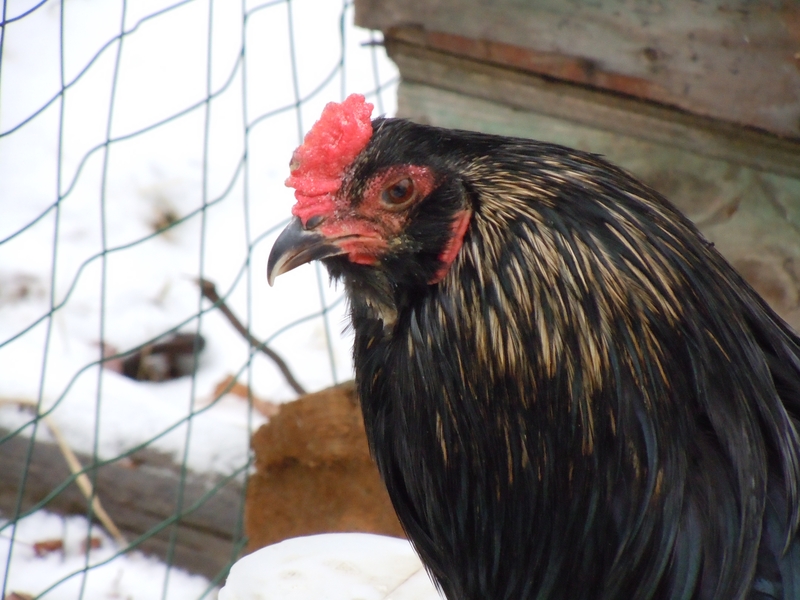 Craigslist is littered with ads for free roosters. I guess because they’re noisy and useless, unless you’re going to breed chickens. It’s also sometimes hard to keep more than one because they can be aggressive. Not so around here. Stan is very quiet; I’ve never heard the slightest cheep, let alone a full crow. While he’s definitely the king, he’s also extremely polite. 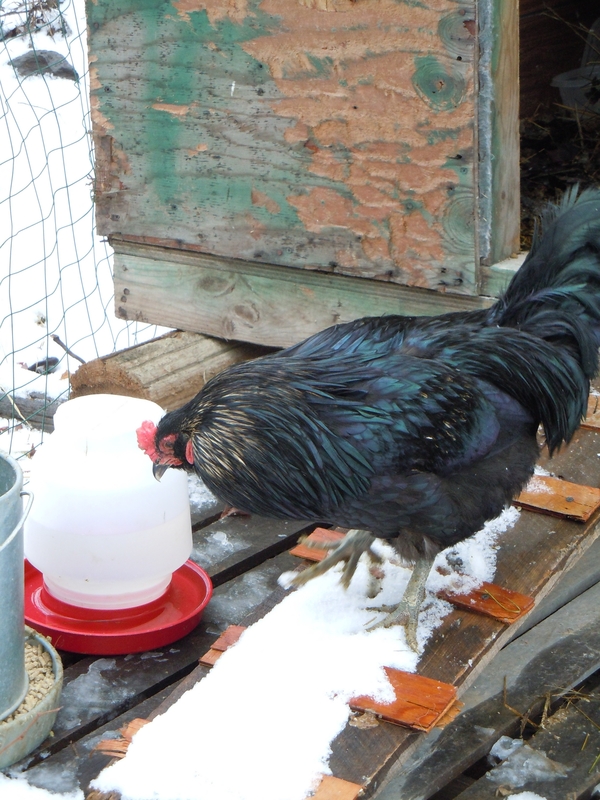 When I open the door of the coop he stands between me and the hens. After I replace their food or water he struts forward to sample my offerings first. I like to think he’s checking to make sure it’s good enough for his hens. I admit I have the occasional pastoral fantasy, common enough for the suburbanly raised, in which I hand feed chickens while wearing clogs and a large hat. A few days after the chickens arrived, Stan and I started playing a game. I would hold a few pieces of grain out to him to see if he would take food from me. For weeks he would just eye me cautiously and wait until I gave up and set the grain on top of the water bottle. I tried over and over again; holding out grain and then setting it down. No go. This morning when I went out to the coop, I knew today was going to be different. Stan seemed almost ready for our game, as if he expected it. I grabbed some grain, squatted down to his level and offered my palm. Stan walked towards me quickly and with only a brief hesitation, pecked the grain from my hand. It’s a bit of a relief having animals we don’t have to kill. Stan is going to live a long chickeny life if I have anything to say about it. This is one chicken who will never find his pot.